was something much more serious, they sent Stennis to Batson Children’s Hospital by ambulance. After he was admitted to the pediatric intensive care unit (PICU), test results provided the terrible diagnosis: meningitis, a staph infection, accumulated pneumonia and a yeast infection in his lungs. He was no longer breathing on his own and needed more than six pints of blood. His liver and kidneys shut down and his body had swollen to more than twice his normal weight. “The next few weeks of my life changed me” says JuQuitta. Weeks later, Stennis woke up with his eyes crossed, his mouth twisted, unable to speak or function on his left side. On top of it all, Stennis endured a series of strokes that caused brain damage. But… he was alive. 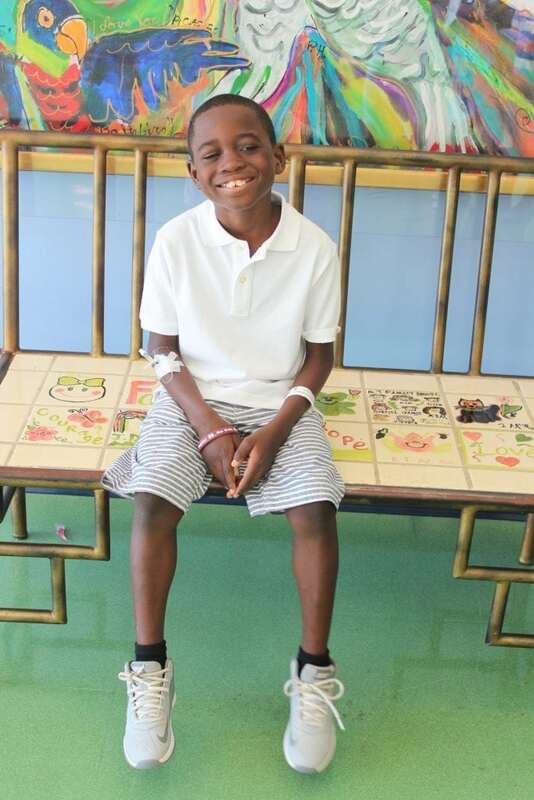 Over the next several weeks, Stennis slowly progressed and was able to move from the PICU to a floor where he began physical and speech therapy. He regained feeling in his left side, successfully rode a therapy tricycle, and even sang nursery rhymes with ease.